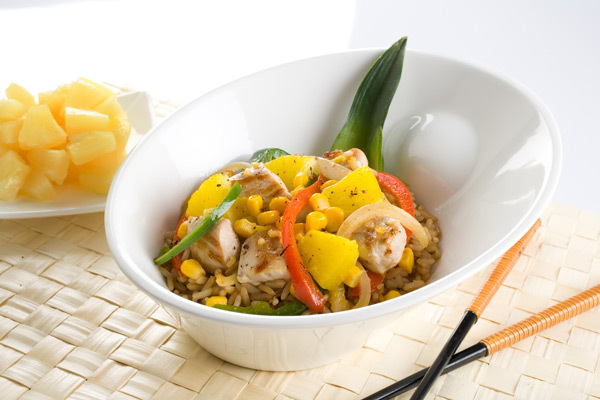 The sweet notes from the fresh pineapple are a wonderful complement to the savory chicken and vegetables. Cook chicken in oil until golden brown. Add onion and peppers. Cook until crisp-tender, stirring often. Mix broth, cornstarch, soy sauce, ginger and garlic. Add broth mixture, pineapple and water chestnuts to skillet. Cook 2 to 3 minutes or until bubbling, stirring constantly. Serve over rice.